There are about 755 fig tree species worldwide, with around 511 of them occurring in the Indo-Australasian region (Asia, Malesia, Pacific islands and Australia) and approximately 132 in the Neotropical region (Central and South America). In the Afrotropical region (Africa south of the sahara, including Madagascar) there are currently 112 recognised species, 36 of which are indigenous to southern Africa (25 species in South Africa). We envisage that Figweb will become a comprehensive resource for information on the world's fig tree species and their associated fig wasps. The content of the fig pages has been largely drawn from Kees Berg's revisions of Afrotropical Ficus species - numerous publications (see references) culminating in the regional treatment on African fig trees and fig wasps (Berg & Wiebes 1992). Kees Berg (Norwegian Arboretum, University of Bergen) has recently prepared a treatise of the Malesian Ficus for the Flora Malesiana and is currently preparing a treatise of the Neotropical Ficus species for the Flora Neotropica. Both Kees Berg and Stefan Ungricht (CBGP-INRA) have been instrumental in assisting with the compilation of the Indo-Australasian and Neotropical checklists. 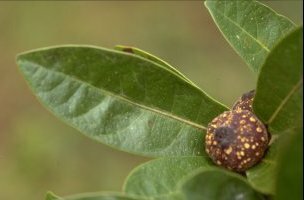 Figweb provides an online resource that can be used as a virtual field guide to the figs of a specific geographical region, facilitating the identification of fig species in the field and promoting the collection of the associated fig wasp fauna from correctly identified host fig species. Access to the fig species pages can either be via the alphabetical index, hierarchical classification or via the checklists for specific regions and countries. At the moment species coverage is largely limited to the Afrotropical region, but page development for the rest of the world's fig species is in progress. Ultimately, we aim to have complete coverage of all Ficus species. 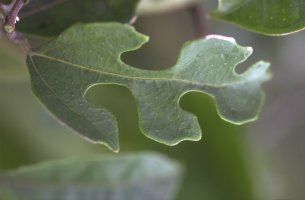 If you have photographs of fig species not yet included and would like to contribute to this web site, please e-mail Simon van Noort. Berg. C.C. 1977. Revisions of African Moraceae (excluding Dorstenia, Ficus, Musanga and Myrianthus). Bull. fard. Bot. Nat. Belg. 47: 267-407. Berg, C.C. 1980. Three new African Ficus species and a comment on Ficus gnaphalocarpa (Moraceae). Adansonia ser. 2. 20, 3: 263-272. Berg, C.C. 1982. The reinstatement of the genus Milicia Sim (Moraceae). Bull. fard. Bot. Nat. Belg. 52: 225-229. Berg, C.C. 1986. The delimitation and subdivision of the genus Madura (Moraceae). Proc. Kon. Ned. Akad. v. Wetensch. 89,3: 241-247. Berg, C.C. 1986. 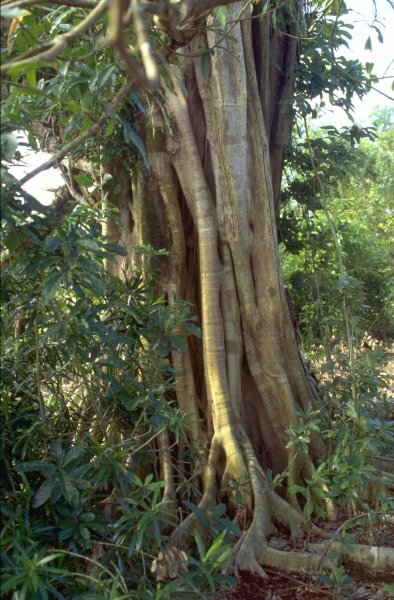 The Ficus species (Moraceae) of Madagascar and the Comore Islands. Bulletin du Muséum national d’Histoire naturelle d’Histoire Naturelle. Paris (4), 8: 17-55. Berg, C.C. 1988. 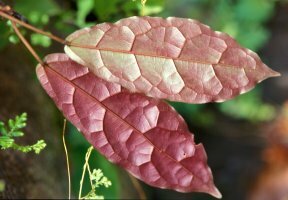 New taxa and combinations in Ficus (Moraceae) in Africa. Kew Bull.43,1:77- 97. Berg, C.C. 1988. The genera Trophis and Streblus (Moraceae) remodelled. Proc. Kon. Ned. Akad. Wetensch. 91 : 345-362. Berg, C.C. 1989. Systematics and phylogeny of the Urticales. In: P.R. Crane & S. Blackmore (eds), Evolution, Systematics, and Fossil History of the Hamemelidae 2. Systematics Assoc. Special Vol. 40B, Clarendon Press, Oxford. Berg, C.C. 1989. Classification and Distribution of Ficus. Experientia 45: 605-611. Berg, C.C. 1990. 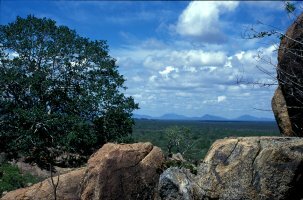 Annotated check-list of the Ficus species of the African floristic region, with special reference and a key to the taxa of southern Africa. Kirkia, 13: 253-291. Berg, C.C. 1990. Distribution of African taxa of Ficus (Moraccae). [Proc. 12th AETFAT]. Mitt. inst. Allg. Bot. Hamburg 23: 401-405. Berg, C.C. 1990. 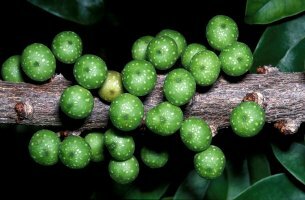 Reproduction and evolution of Ficus (Moraceae): traits connected with the adequate rearing of pollinators. Mem. NY Bot. Gard. 55:169–185. Berg, C.C. 1991. Moraceae. In: E. Launert & G.Y. Pope (eds) Flora Zambesiaca 9, 6. Natural History Museum, London. Berg, C.C. 1998. Phytogeography, systematics and diversification of African Moraceae compared with those of other tropical areas. In: C.R. Huxley, J.M. Lock & D.E Cutler (eds), Chorology, Taxonomy and Ecology of the Floras of Africa and Madagascar. Royal Botanic Gardens, Kew. Berg, C.C. 2002. Ficus baola, a new species of Ficus subgenus Urostigma section Malvanthera (Moraceae) from the Solomon Islands Blumea 47: 315-317. Berg, C.C. 2003. Flora Malesiana precursor for the treatment of Moraceaea 1: The main subdivision of Ficus: the subgenera. Blumea 48: 167-178. Berg, C.C. 2003. Flora Malesiana precursor for the treatment of Moraceaea 2: Ficus subgenus Pharmacosycea section Oreosycea. Blumea 48: 289-301. Berg, C.C. 2003. Flora Malesiana precursor for the treatment of Moraceaea 3: Ficus subgenus Ficus. Blumea 48: 529-550. Berg, C.C. 2003. Flora Malesiana precursor for the treatment of Moraceaea 4: Ficus subgenus Synoecia. Blumea 48: 551-571. Berg, C.C. 2003. Flora Malesiana precursor for the treatment of Moraceaea 5: Ficus subgenus Sycidium. Blumea 48: 573-597. Berg, C.C. 2004. Flora Malesiana precursor for the treatment of Moraceaea 6: Ficus subgenus Sycomorus. Blumea 49: 155-200. Berg, C.C. 2004. Flora Malesiana precursor for the treatment of Moraceaea 7: Ficus subgenus Urostigma. Blumea 49: 463-480. Berg, C.C. & Carauta, J.P.P. 2002. 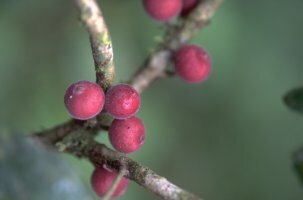 New species of Ficus (Moraceaea) from Brazil. Brittonia 54: 236-250. Berg, C.C. & Hijman, M.E.E. 1999. The genus Dorstenia (Moraceae). 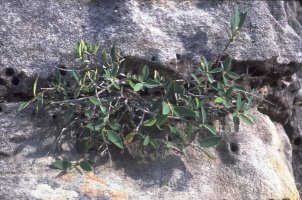 Ilicifolia 2: 1- 211. Berg, C.C. & Hijman, M.E.E. 1989. Chapter 11. Ficus. Flora of Tropical East Africa (ed. R.M. Polhill). 43-86. A.A. Balkema, Rotterdam. Berg, C.C., Hijman, M.E.E. & Weerdenburg, J.C.A. 1984. Moracées (incl. Cécropiacées). Flore du Gabon 26: 1–276. Berg, C.C., Hijman, M.E.E. & Weerdenburg, J.C.A. 1985. Moracées (incl. Cécropiacées). Flore du Cameroun 28: 1–298. Berg, C.C. & Wiebes, J.T. 1992. African fig trees and fig wasps. Koninklijke Nederlandse Akademie van Wetenschappen. Amsterdam, 1-298 pp. Dixon, D.J. 1999. Figuring out the figs. Systematic studies in Ficus (Moraceae: Urostigma sect. Malvanthera). PhD thesis. Townesville, Australia: James Cook University. Dixon, D.J. 2001a. A chequered history: the taxonomy of Ficus platypoda and F. leucotricha (Moraceae: Urostigma sect. Malvanthera) unravelled. Australian Systematic Botany 14, 535-563. Dixon, D.J. 2001b. Ficus lilliputiana (Urostigma sect. Malvanthera) a new species from the Kimberley Region. Nuytsia 13, 457-464. Dixon, D.J. 2001c. Figs, wasps, and species concepts: a reevaluation of the infraspecific taxa of Ficus macrophylla (Moraceae: Urostigma sect.Malvanthera) Australian Systematic Botany 14, 125-132. Dixon, D.J. 2003. 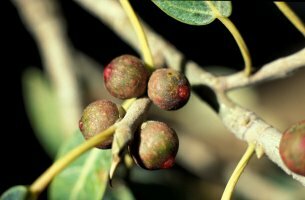 A taxonomic revision of the Australian Ficus species in the section Malvanthera (Ficus subg. Urostigma: Moraceae). Telopea 10, 125–153. Dixon D.J. 2007. Ficus carpentariensis a new sandpaperfig for northern Australia and a revision of the F. opposita complex (Moraceae: Ficus subg. Ficus sect. Sycidium informal group F. copiosa). Nuytsia 16(2): 269-284. Dixon, D.J., Jackes, B.R. & Bielig, L.M. 2001. Figuring out the figs: the Ficus obliqua–Ficus rubiginosa complex (Moraceae: Urostigma sect. 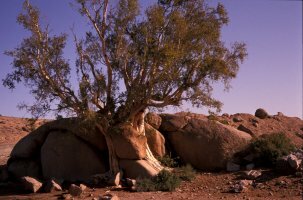 Malvanthera) Australian Systematic Botany 14, 133-154. Burrows, J. & Burrows, S. 2003. Figs of southern & south-central Africa. Umdaus Press, Hatfield. 379 pp. Rønsted, N., G. D. Weiblen, J. M. Cook, N. Salamin, C. A. Machado, V. Savolainen. 2005. 60 million years of co-divergence in the fig-wasp symbiosis. Proceedings of the Royal Society of London B. 272, 2593-2599. Rønsted, N., Salvo, G., Savolainen, V., 2007. Biogeographical and phylogenetic origins of African fig species (Ficus section Galoglychia). Molecular Phylogenetics and Evolution 43, 190–201. Rønsted, N., G. D. Weiblen, V. Savolainen, J. M. Cook. 2008. Phylogeny, biogeography, and ecology of Ficus section Malvanthera (Moraceae). Molecular Phylogenetics and Evolution 48: 12-22. Rønsted, N., G. D. Weiblen, W. Clement, N. Zerega, V. Savolainen. 2008. Reconstructing the phylogeny of figs (Ficus, Moraceae) to unravel the origin of fig-wasp mutualisms. Symbiosis 45: 45-56. Ungricht, S., Rasplus, J.Y., Kjellberg, F. 2003. Nomenclature of the endemic monoecious fig trees (Moraceae: Ficus L.) of New Caledonia and Vanuata (Pacific Ocean). Taxon 52: 319-325. Photographs © Simon van Noort (Iziko Museums of South Africa) or © Jean-Yves Rasplus (INRA).